Who is This Teenage Muslim Super Girl? 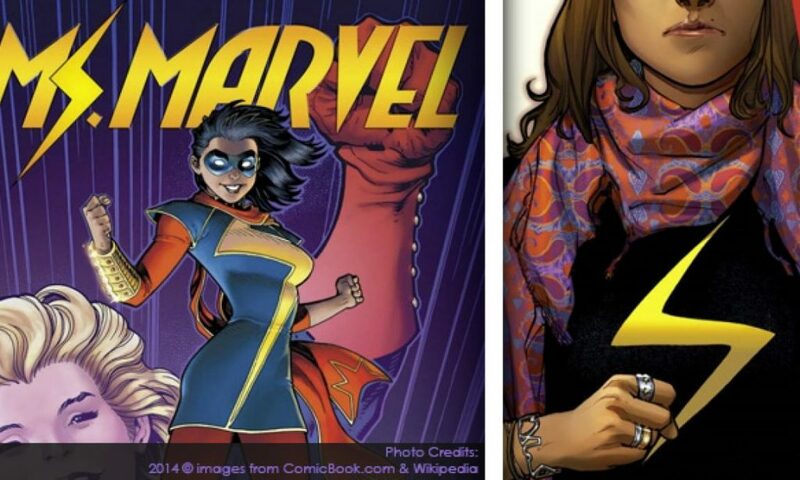 Marvel Comics recently revealed its newest member of the team, Kamala Khan, code name Ms. Marvel. Khan, a Pakistani-American from Jersey City, New Jersey, will join the league of Marvel women while donning a fetching eye mask and gearing up to fight the bad guys. Her superpower: shape shifting. Kamala doesnt wear a hijab and although she belongs to strict parents she has the same freedoms and choices as most U.S. teens. The fact that she is Muslim seems a mere side note, akin to having black hair. Amanat says the character is less about faith and more about the struggles every teenager grapples with on the road to self-discovery. But will the series fly with Western audiences? That’s Good for Marvel, it will increase their profit, enjoy her comics strip before she gets Honor Killed by her family ;-). Back in the 1970s, did Wonder Woman catch the same heat? Maybe so. The firestorm of criticism, and some celebration, over a simple Marvel character is curious, particularly since comics are not big industry to begin with. Are some folks more comfortable seeing Muslim women as victims rather than heroes? Sarah Mahmood, a senior Political Science major at Wellesley, thinks so. Mahmood was fascinated with the backlash Huma Abedin received throughout her husband, Congressman Anthony Weiners, political scandal. I was upset when even well-respected journalists constantly portrayed this Muslim woman as submissive, even though there have been so many similar instances in history and politics of women standing by their man, she says. Compare Kamala with the Burka Avenger, an action-comedy animated TV series from Pakistan produced by Unicorn Black Production Company. This series follows the adventures of school teacher Jiya and three young kids in the imaginary city of Halwapur as they fight the evil Baba Bandook and his henchmen. Jiyas superhero costume is full-on abaya. She is female, pro-education and stands up for childrens rights. Who could argue with that? Both Kamala and Jiya have similar superhero goals: justice and education, freedom and righting wrongs. And yes, they both happen to be Muslim. So why is the American Muslim super girl getting so much mixed press? In his AlJazeera article Why cant Spider-Man convert to Islam? Dr. Leon Moosavi argued that characters like Kamalas comic book personality can reinforce negative stereotypes. To that theory Mahmood responds, maybe there arent enough stories. For example, Mahmood says, its not uncommon to have conservative parents. She had conservative parents, too. Maybe Kamalas parents are conservative because they came from another country and because things are really scary. Where my family is from in India it was not safe to be out alone, so my parents always worried when I went out. For outsiders this may seem sexist, but it was really a safety concern, Mahmood said. Myth 4: Muslim women who wear the hijab dont have a voice and need to be spoken for. Look around and youll find a good mix of strong, educated Muslim girls and women portrayed in media. Kamala is scheduled to make a full debut in All-New Marvel NOW! Point-One #1 January 2014. Maybe her story will be well-written, or perhaps she will be written off as a weak token character. The question is, do audiences still cheer for a fearless Muslim girl as she grows into a fearless Muslim woman? Mahmood thinks even fictional portrayals of Muslim girls and women, like Kamala Khan, are helpful in debunking stereotypes.